Q: What’s involved in learning to scuba dive? Learn the lingo. During the first phase of your PADI Open Water Diver scuba certification you develop an understanding of the basic principles of scuba diving. You learn things like how pressure affects your body, how to choose the best scuba gear and what to consider when planning dives. There are five confined water dives, with each building upon the previous. 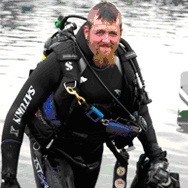 Over the course of these five dives, you attain the skills you need to dive in open water. In total approx 6 hours. A: It’s possible to complete your confined and open water dives in as few as three or four days by completing the classroom portion online via PADI eLearning or home study options offered by your local dive shop or resort. The PADI Open Water Diver course is incredibly flexible and performance based, which means that your PADI Dive Shop can offer a wide variety of schedules, paced according to how fast you progress. 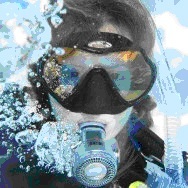 Your instructor’s interest is in your learning to scuba dive, not in how long you sit in a class. So, training is based upon demonstrating that you know what you need to know and can do what you need to do. This means that you progress at your own pace – faster or slower depending upon the time you need to become a confident scuba diver who dives regularly. You can start learning to scuba dive today! Learning to scuba dive is a great value when you consider that you learn to dive under the guidance and attention of a highly trained, experienced professional – your PADI Scuba Instructor. From the first day, scuba diving starts transforming your life with new experiences you share with friends. And, you can do it almost anywhere there is water. 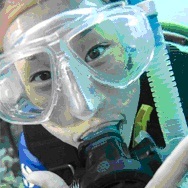 Start learning and get ready to take your first breath underwater! 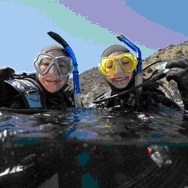 A: Choosing and using your scuba gear is part of the fun of diving. Your local PADI Dive Shop or Resort will help you find the right gear. Each piece of scuba equipment performs a different function so that collectively, it adapts you to the underwater world. A: Easy. There is no best gear. But, there is the best gear for you. The professionals at your local PADI dive shop are trained to help you find scuba gear that best matches your preferences, fit and budget. These professionals can get you set with the right stuff, plus they provide service and support for years of enjoyable and dependable use. You may also want to talk to other scuba divers in PADI’s online scuba community to get recommendations on particular scuba equipment brands and models. Students younger than 15 years, who successfully complete the course qualify for the PADI Junior Open Water Diver certification, which they may upgrade to PADI Open Water Diver certification upon reaching 15. You must be at least 13 years old to take scuba lessons online with PADI eLearning, due to international internet laws. If you’re younger, you can still learn to dive – just have your parent or legal guardian contact your local PADI Dive Shop or Resort. 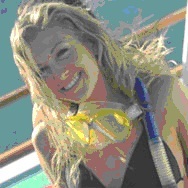 Ask your instructor for the scuba medical questionnaire. You will also need your PADI Log book and Recreational Dive Planner (Table or eRDPTM). 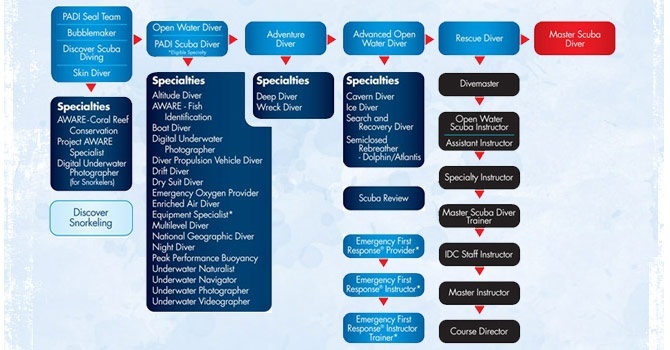 Your local PADI dive shop can set you up with these as part of the course enrollment process. Your local dive site can be anything from a special pool built just for divers like one found in Brussels, Belgium, or more typically natural sites like Belize’s Great Blue Hole, Australia’s Great Barrier Reef or Japan’s Yonaguni Monument. It may be a manmade reservoir or a fossil-filled river. It’s not always about great visibility because what you see is more important than how far you see. And Colombo, Hikkaduwa and Trincomalee have so many amazing dive sites including some awesome ship wrecks which can be rated as world class wreck dives. The only truly important thing about where you dive is that you have the scuba diving training and experience appropriate for diving there and that you have a dive buddy to go with you. Your local PADI Dive Shop or Resort can help you organize great local diving or a dive vacation. Visit today to get started. A: With the necessary training and experience, the limit for recreational scuba diving is 40 metres/130 feet. 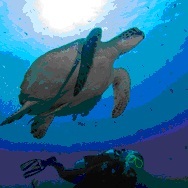 Beginning scuba divers stay shallower than about 18 metres/60 feet. Although these are the limits, some of the most popular diving is no deeper than 12 metres/40 feet where the water’s warmer and the colors are brighter.